Technology utilized effectively can enhance instruction. Here are questions to begin the technology integration process. Why do you want to use technology within a lesson? What hasn't worked in the past? What has worked? ​What are the learning targets of the lessons? What do we want to see as the final outcome? Does it advance the instruction and learning on the SAMR model? 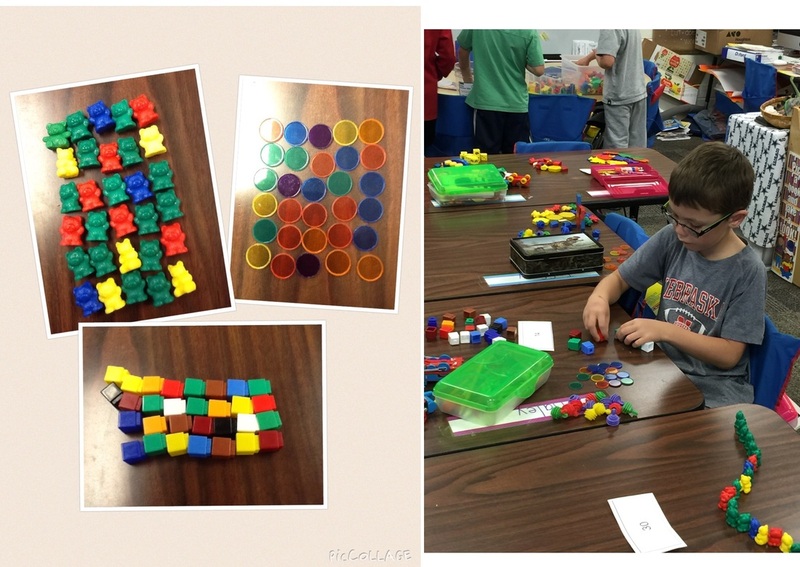 Can the students be creative without losing focus of the learning? Below is a small sample of the technology integration happening within our district. 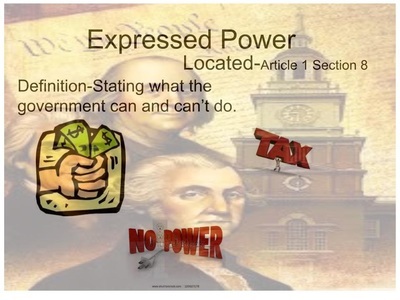 High school students use Google Draw to find images that represent a specific constitutional power. 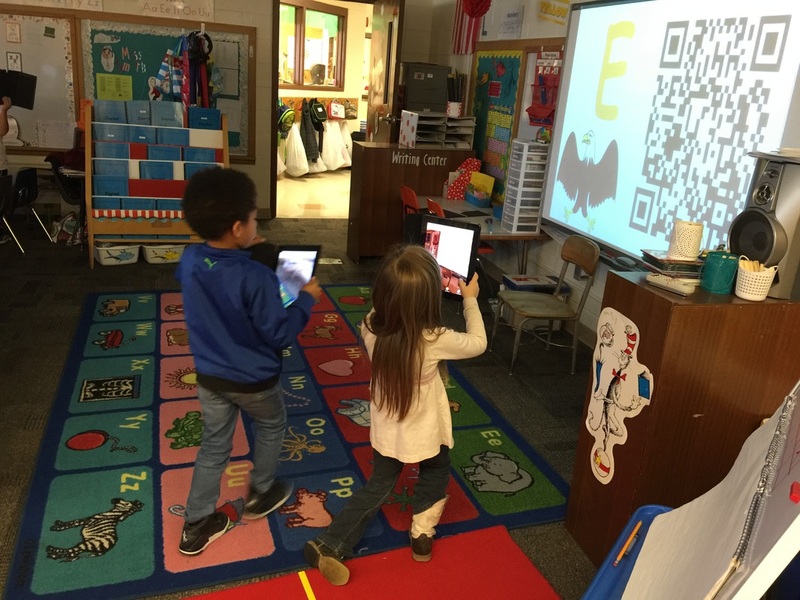 Kindergarten students use iPads and QR codes to count tally marks and complete ten frames during a math integration lesson. 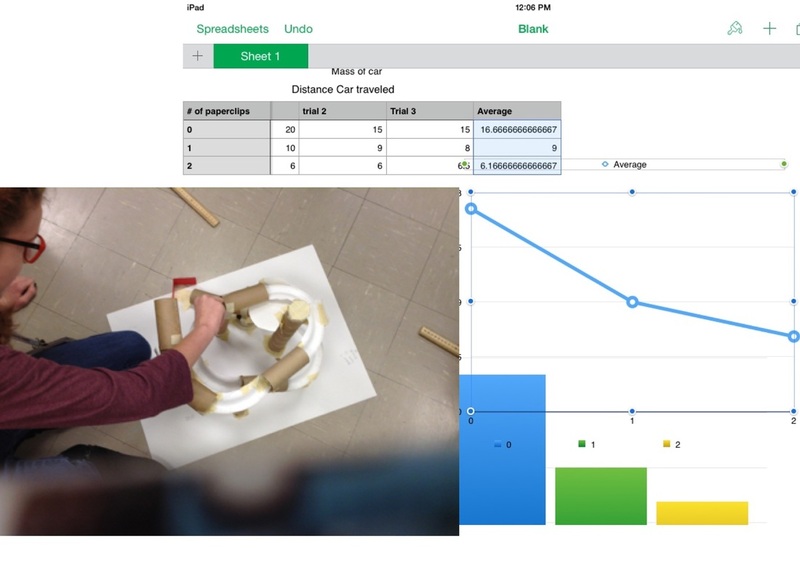 Using iPads and computer programs, middle school students write and explain Newton's Laws and organize and present the data. 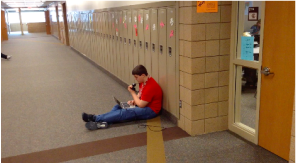 Students use technology devices to record their learning reflections for various projects. 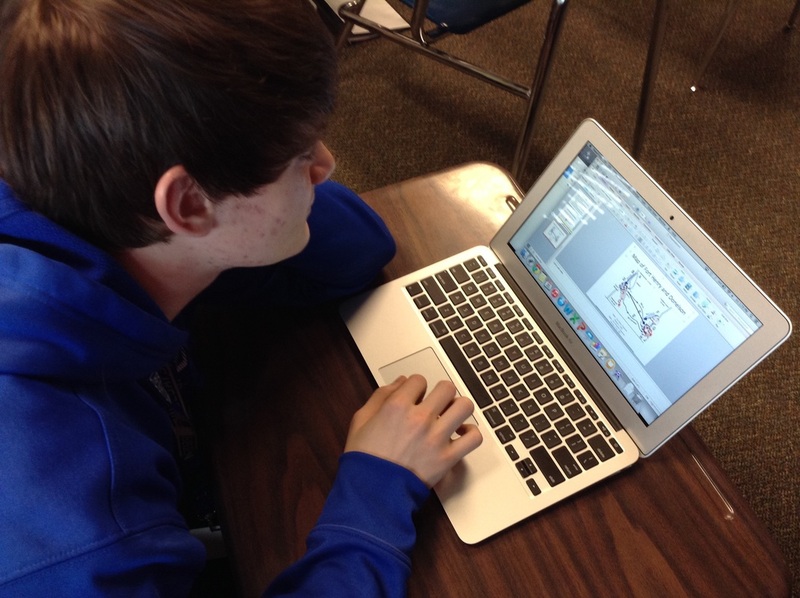 Students use technology to research and create projects in their classrooms. Students use the Camera and PicCollage iPad apps to demonstrate number sense. 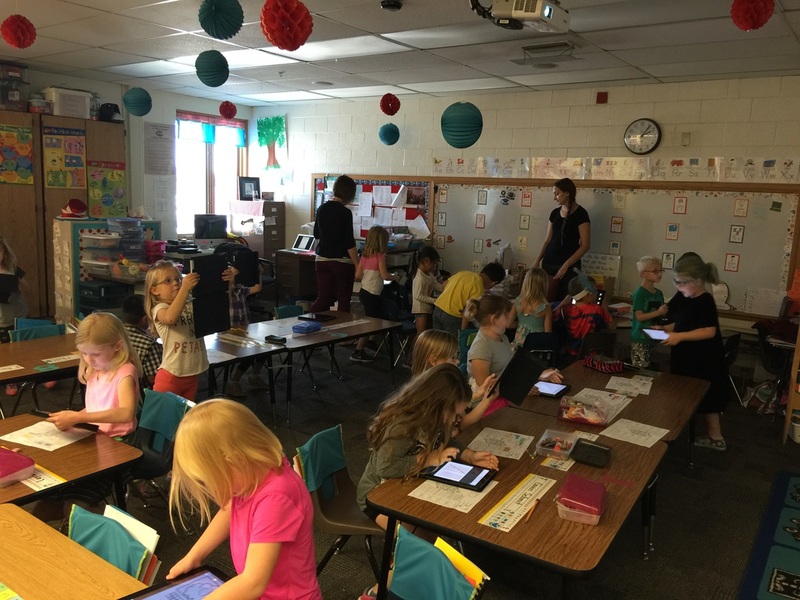 Kindergarten students use iPads in the classroom. 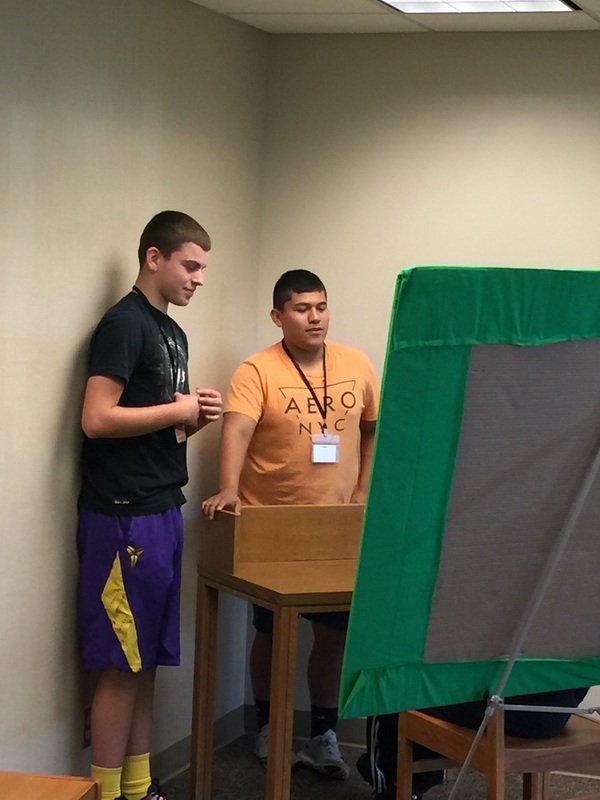 Green screens are available throughout the media center for students to record videos of themselves for projects or assignments. 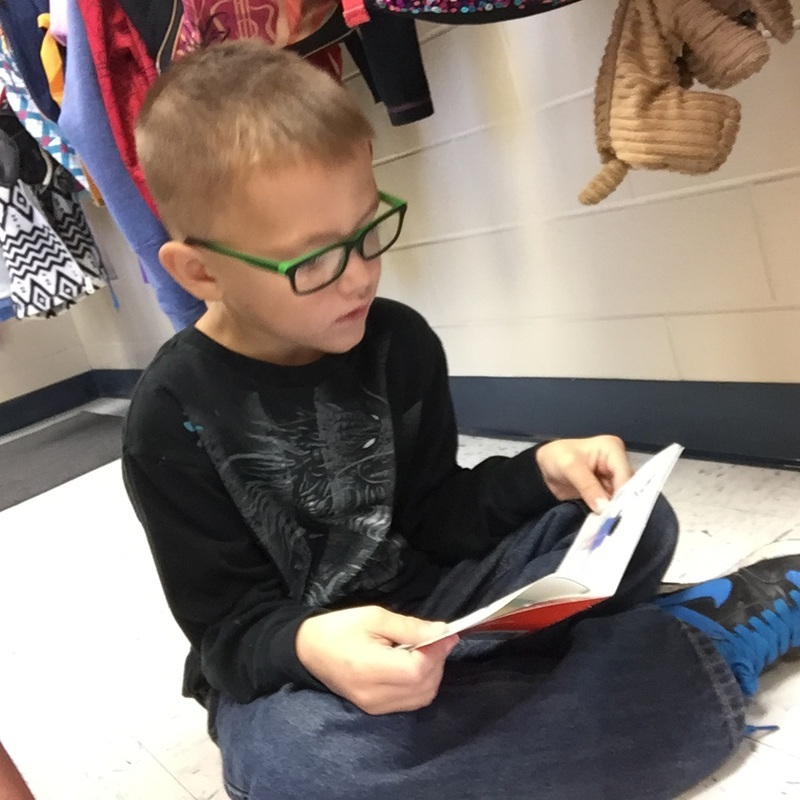 Students practice reading fluency by recording themselves reading aloud each week with an iPad. The recording is stored in the student digital portfolio. Tech Integration Specialist, Brandi Fleming and high school teacher, Dave Licari demonstrate the use of Green Screen and iMovie during a staff professional development.